With 7 calories per gram, the number of calories in alcohol is second only after fat (9 cals/g). 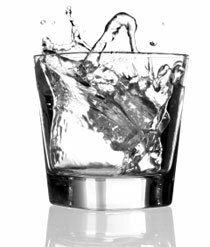 When looking at the calories in vodka, it has a typical alcohol content of 40%. So for a 25ml (single) measure, you're looking at around 55 calories, or, 110 calories for a double. The calories in alcohol are metabolised first by the body, ahead of burning fat - which is not desirable if on a weight loss diet. Nutracheck's weight loss service doesn't ban vodka, but instead, gives you a tool to monitor the number of calories in your diet from alcohol. Your food diary includes an Alcohol Monitor that tracks daily and weekly intake of vodka and other alcoholic drinks.